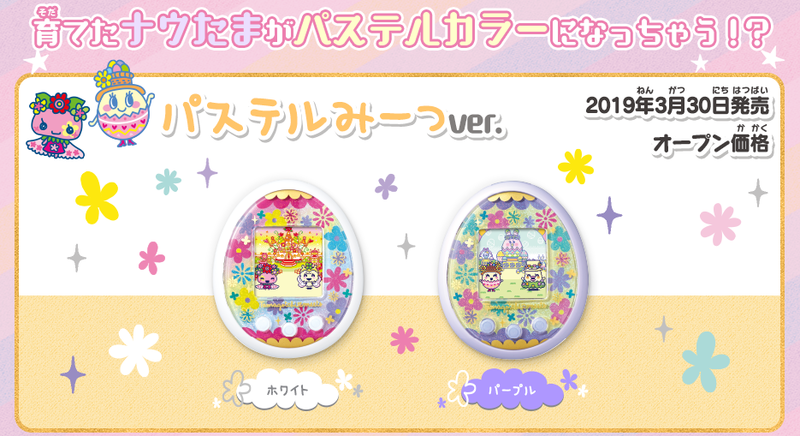 Tamagotchi Meets Pastel version launched! As everyone has been waiting for this new version of Tamagotchi Meets, Bandai finally launch the pastel version (white and purple) today! Are you excited to get yours? Have you pre-ordered?